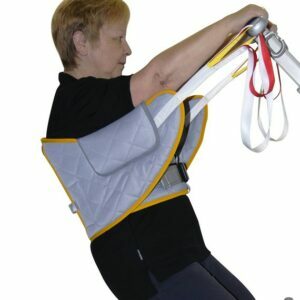 Although this product is cut to provide multi-application, our alternative hammock sling is particularly useful for amputee patients. 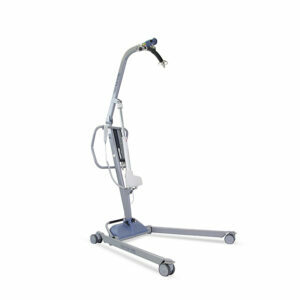 This item can also be cut as a specialist product, allowing toileting procedures as required. 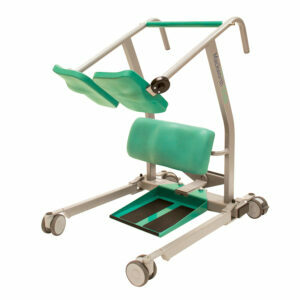 Manufactured from a variety of high-grade materials and sizes to meet variable patient demographics. Pine is also available with a differing loop webbing selection, or alternatively our patented Cloop® or Dosec® clip designs. 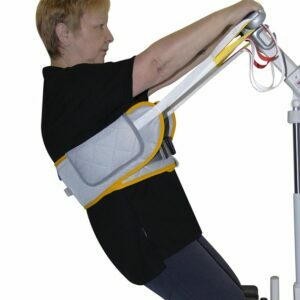 A multitude of heights can be achieved while ensuring transfer security throughout the complete lifting procedure.